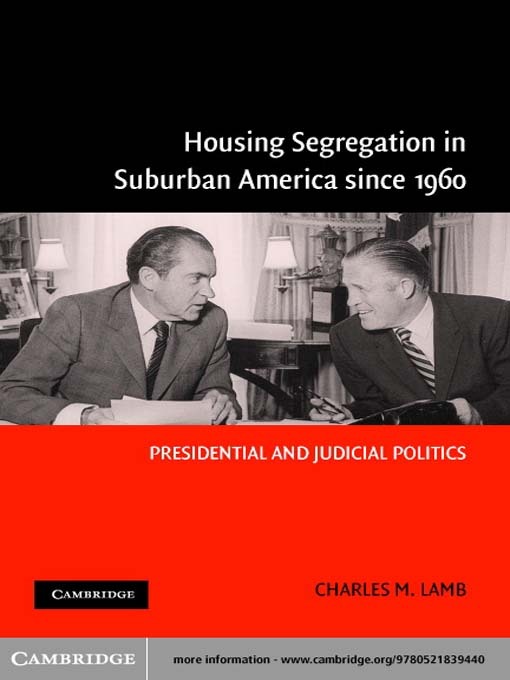 This book examines national fair housing policy from 1960 through 2000 in the context of the American presidency and the country's segregated suburban housing market. It argues that a principal reason for suburban housing segregation lies in Richard Nixon's 1971 fair housing policy, which directed Federal agencies not to place pressure on suburbs to accept low-income housing. After exploring the role played by Lyndon Johnson in the initiation and passage of the Fair Housing Act of 1968, Nixon's politics of suburban segregation is contrasted to the politics of suburban integration espoused by his HUD secretary, George Romney. Nixon's fair housing legacy is then traced through each presidential administration from Gerald Ford to Bill Clinton and detected in the decisions of Nixon's Federal Court appointees.